No, we don't have a president. 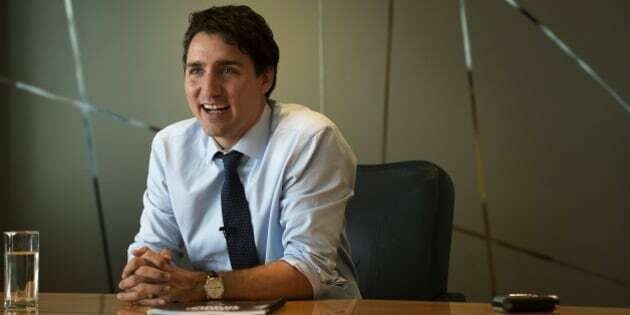 Though it pales in comparison to the seemingly never ending U.S. election, Canada’s gruelling 78-day long electoral race has come to an end, and the country has a new prime minister. Justin Trudeau’s Liberal Party emerged victorious in the country’s 42nd federal election on Monday, winning enough seats to form a majority government. It was the party's first election victory since 2004. Trudeau’s win ends the almost 10-year reign of Conservative Party leader Stephen Harper, who had been leading a majority government since 2011. His party first took power in 2006 from the Liberal Party. Pierre Elliott Trudeau served as the country’s leader from 1968 to 1979 and from 1980 to 1984 (yes, Canadian prime ministers don’t have term limits.) He was ridiculously popular, to the point that "Trudeaumania" became a thing. While he served as PM, Trudeau oversaw the creation of the Canadian Charter of Rights and Freedoms. He also gave us some very interestingbaffling photographs. During this year’s campaign, the younger Trudeau rarely spoke about his father, and in his memoir says that his last name was never a reason for him to enter politics. But during a debate in late September on foreign policy, Trudeau went on the defensive after NDP leader Tom Mulcair referenced Trudeau's father's decision to invoke the War Measures Act during the October Crisis of 1970. When Trudeau delivered an emotional eulogy at his father’s state funeral in 2000, it was his first major leap into the national spotlight as an adult. Speaking at the Notre Dame Cathedral in Montreal, Trudeau shared memories of his father with those in attendance and the nation at large. You can watch a video of the eulogy above. "He loved us with a passion and a devotion that encompassed his life,” Trudeau said at the time. “He taught us to believe in ourselves, to stand up for ourselves, to know ourselves and to accept responsibility for ourselves." Long before the election officially kicked off — and all the way through it — Trudeau was pummeled with a flurry of Conservative party ads that painted him as a political novice who was “just not ready.” Unlike Mulcair, who was seen as a formidable opponent due to his ruthless interrogations of Harper during the country’s Senate scandal, Trudeau was not initially regarded as a leader who could unseat Stephen Harper. But he began to shed the underdog aura around him in 2012 when he won a charity boxing match against Senator Patrick Brazeau, a man with a black belt in karate and a build that was widely expected to crush Trudeau. Since then, Trudeau has had plenty of photo ops and videos of himself in the ring, many being released to Canadians before he duked it out with — and sometimes outperformed — his rivals at a debate. A Canadian admitting to having smoked marijuana in his or her youth isn’t exactly the most shocking of revelations. But a Member of Parliament saying they dabbled with a doobie while being a sitting representative is another story. Trudeau made that admission to HuffPost Canada’s Ottawa bureau chief, Althia Raj, in 2013. It was at his house in Montreal, outside on a patio by the pool. “We had a few good friends over for a dinner party, our kids were at their grandmother's for the night, and one of our friends lit a joint and passed it around. I had a puff,” he told HuffPost at the time. Though the House of Commons’ members come from all kinds of professional backgrounds, few have faced as much ridicule as Trudeau, who worked as a teacher before his foray into politics. The Conservatives attacked Trudeau’s experience in an ad released in 2013, which suggested he was unfit to serve a prime minister because he was a camp counsellor, rafting instructor, “drama teacher for two years” and an MP with a poor attendance record. His father had the infamous “fuddle duddle,” and the younger Trudeau, well, he’s had a couple of strange quotes too. The 43-year-old once called a fellow MP a “piece of sh*t” (Canadian for piece of sh*t). He apologized for his “unparliamentary” language. Trudeau also once expressed his admiration for China. “Their basic dictatorship is actually allowing them to turn their economy around on a dime,” he said. This one we can’t really explain well with words, so we’ll have to rely on photos.